Do you want to make your fish grow faster? When you’re a pet owner, be it a fishkeeper or a fur-parent, it’s natural that you only want the best for your pets. Like us, most would do anything just to foster pets that are at their optimum health. Who doesn’t want healthy and happy little critters, right? At the same time, we don’t want to have to resort to unconventional or downright evil ways just to get our critters to the size that we want for them. We want them to be healthy and happy in a way that will only benefit them. 7 ways to make your fish grow faster using ethical methods. This includes making sure your fish get proper nutrition, keeping them in a larger tank, and maintaining the quality of the tank’s water, among others. having a large water volume is key to a fishes growth rate and the correct diet. Get these two things right and your fish will grow quickly. While putting your fish in a larger tank won’t automatically make them grow faster, putting them in a tank that’s too small can stunt their growth and prevent them from growing. Small tanks have a lot of downsides that many fishkeepers don’t realize at first. First of all, small tanks tend to restrict activity, which means that your fish won’t be able to exercise as much. That could also stunt growth, as too low activity levels actually hinder growth. Not to mention, if you’ve got other fish, there may be a risk of overcrowding, which could increase nitrite levels in the tank, leading to nitrite poisoning. If you’re transferring your fish to a bigger tank, you have to let your fish get used to their new home first. 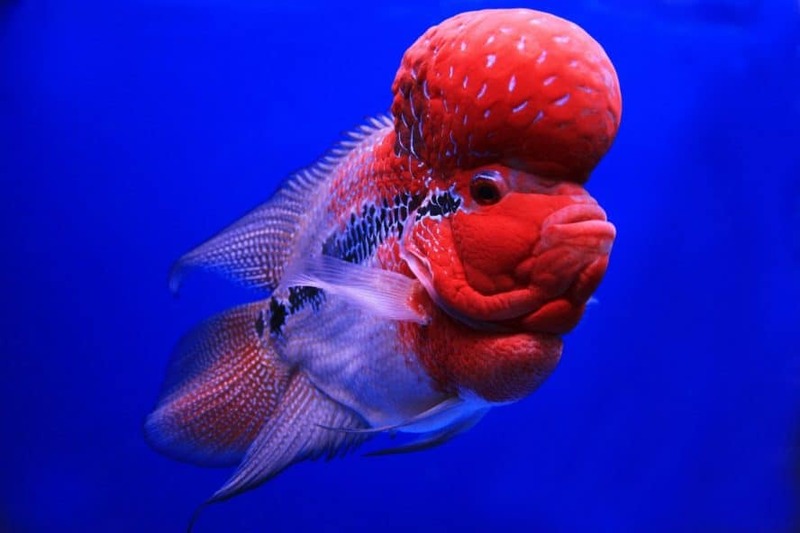 Just like humans, your fish need to adjust first when transferring to a new place this process is called Acclimating. The difference is, with fish, whether or not they adjust to their new tank could be a matter between life and death, and not just whether they’ll grow fast or not. Don’t worry though, it’s actually really easy. When you’re transferring your fish to a new tank, put them in a plastic bag or thin container that you can ‘float’ on the surface of the tank. Let them float for about 30-40 minutes. 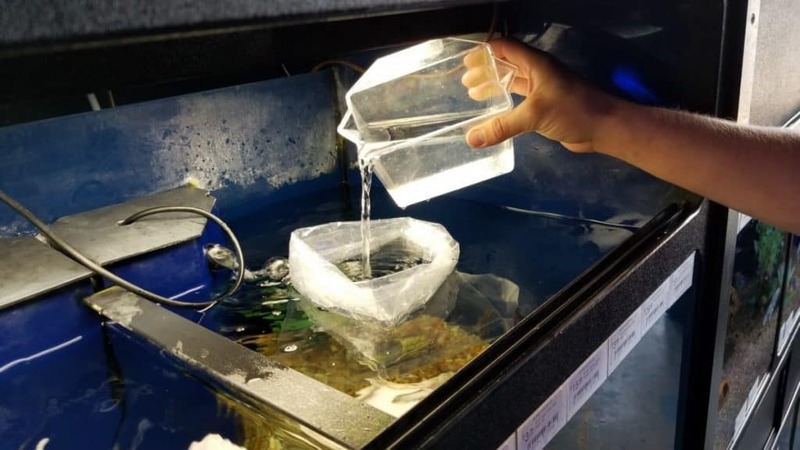 Every 5 Minutes add a small amount of water from their new home into the bag or container to get them to adjust before allowing them to swim into the tank. For a complete guide on adding a new fish to an aquarium read our complete guide to starting a new aquarium. We go into the acclamation process in more detail. Most, if not all, fish require a certain temperature to be at their optimum health. Bettas, for example, need their tank to be 78 degrees to 80 degrees. Lower temperatures can make them ‘laggy’, while higher temperatures can cause them to age faster. 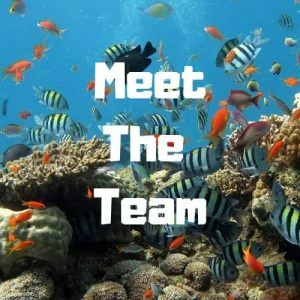 Some fish like Bettas cannot regulate their own body temperature and rely on us to maintain a constant and suitable water temperature at all times. Danios, on the other hand, need slightly lower temperatures at 65 degrees to 75 degrees. Most freshwater fish have similar temperature requirements from 75 degrees to 80 degrees. Regulating temperature can be a little harder if you live in a tropical country, as the water temperature tends to be a bit higher. But if you live in a normally cold place, you’ll certainly benefit from getting a heater that will ensure that your tank’s temperature is always at the right range. This is certainly one of the best and easiest ways to make your fish grow faster, and it’s ethical too. If you need an aquarium heater then read our complete guide and review of the best aquarium heaters on the market today. Did you know that the quality of your tank’s water can greatly affect your fish? Harmful toxins and other dangerous wastes develop in the water over time, and these can make your fish’s health poor. This can not only prevent your fish from growing faster, it can also result in fish death. 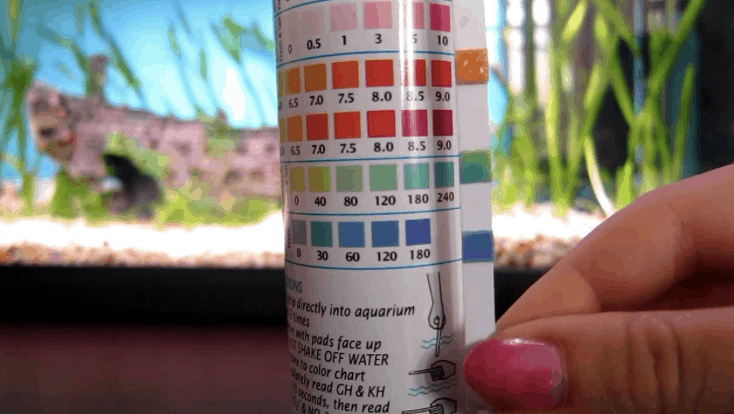 Always monitor the water quality of your fish tank. If the water is looking a little cloudy, or if it seems like it’s got more waste than usual, do something immediately. You don’t want to just sit back and relax while your poor fish are all dying slowly in your tank, do you? It’s important to do regular water changes if you want to keep your fish happy and healthy at all times. Even if you have a high-quality filter doing the majority of the work for you, your tank will still benefit from having its water changed once or twice every month. Changing the water can lessen the waste, lower potentially fatal compounds like ammonia and nitrite, and improve the clarity of your tank. Just make sure that when you do water changes, you only replace about 25%, or at the very most, 50%, of the tank’s water. Doing a complete water change as opposed to a partial water change is almost always unnecessary and can only add to the stress of the fish. A complete water change can also shock the fish and prevent it from adjusting properly, which could result in fish death. You are taking away all the good bacteria that has built up within the aquarium that actually help the water system if you remove too much in one go. You can’t keep your tank one hundred percent clean at all times, but at least make sure that it’s free from anything that can harm your fish. Now, a dirty tank with lots of algae can certainly affect your fish’s health and stunt its growth more than anything. A dirty tank can also have higher levels of dangerous compounds, which can not only stunt growth, but kill fish. Prepare to scrub your tank every now and then to keep it clean. There are plenty of algae cleaners out there in the market that are quick and easy to use. Every now and then, you can use a gravel siphon to remove waste from the floor of your tank. You may also get some tankmates for your fish that are natural tank cleaners, such as snails, shrimps or janitor fish, if possible. Natural is best and if you can build up a natural and effective eco-system within your aquarium it will reduce the amount of physical cleaning you will need to do. It will never readicate water changes as they are needed to replace essential nutrients in the water that are lost. Not giving your fish enough high-quality food is probably the most likely reason why they’re not growing properly. Remember, your fish need to get a lot of nutritious food that will help them grow into big and healthy fish. This means giving them enough breed-specific foods, as well as a steady supply of pellets for their protein needs. Choose wisely though, as not all fish food is made equally. We use Tetra Color Tropical Flakes as their main staple diet then we feed them live foods once a week and mini pellets and dried bloodworms 2-3 times a week. This will ensure they have a variety in their diet. Also, don’t overfeed your pets, as this can just make them sick and bloated. Uneaten food will also add to the pollution within the tank, which can make the water dirty. Just make sure that they’re well-fed. If there’s such a thing as number one in the list of ways to make your fish grow faster, this is definitely it. In conclusion, fish can grow big and strong if they’re given enough tank space, are allowed to adjust to new tanks, have clean and clear tanks with the proper temperature, and are given the highest possible quality of food. Now that you know how to make your fish grow faster, get out there and make them the best fish they can be! Do you have any questions? Feel free to ask us in the comments below! Jean is a long-time writer whose hobbies include writing, reading crime thrillers, and whipping up sweet treats. Her home consists of five potted plants, one betta fish, two furbabies, and a large jar of freshly baked chocolate cookies.